SPRING BREAK is here! Chances are you are spending it with your sisters. Spring Break brings sun, fun and hopefully tons of cute photo ops. 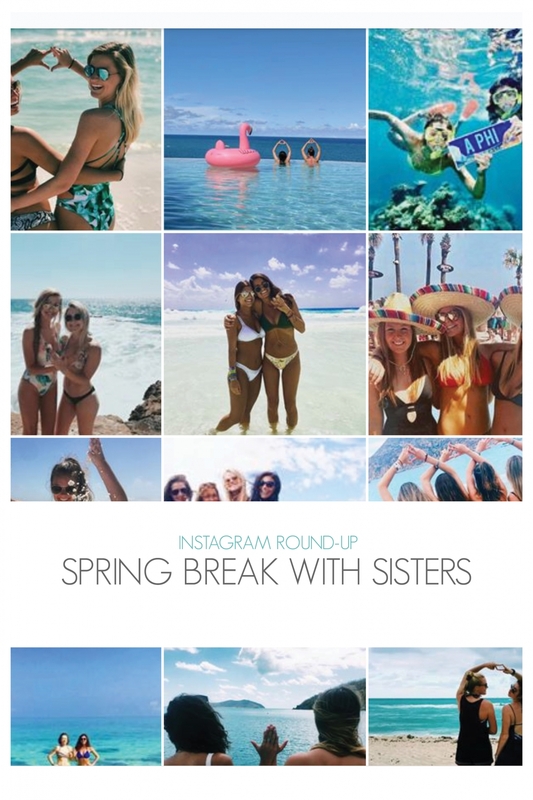 We’ve collected some of our fave Spring Break with Sisters pics in this latest instagram round-up. Tag @a_listgreek in your own Spring Break pics for a chance to be featured! Our sisters are soaking up the last few moments of spring break and throwing what they know! We can’t wait to be reunited tomorrow! ? Still dreaming of an ocean breeze and weather over 50 degrees ? the only thing getting us through spring break ending is getting to see all of our sisters ? on that note, happy Monday everyone! Hope everyone had a relaxing spring break! Wishing it was spring break again on rainy days like this!